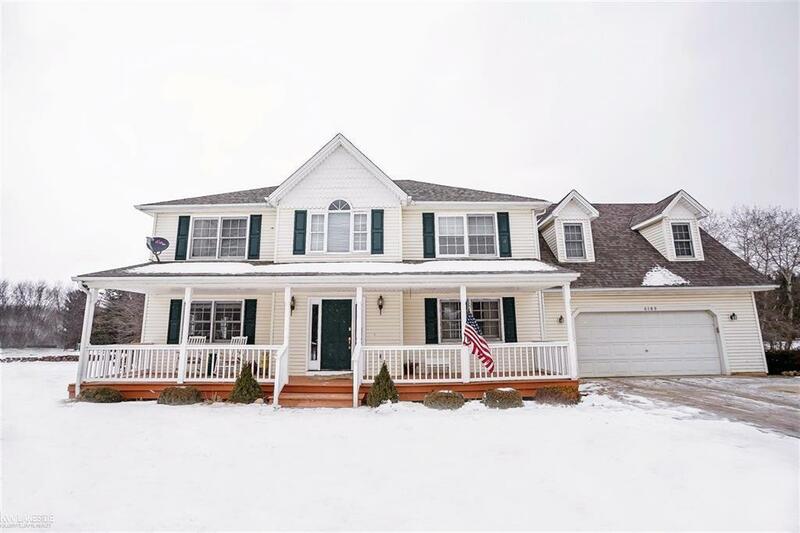 Don't miss out on this beautiful country cape cod home, located in desirable Almont/Dryden area. This home comes with a 4th large bonus room above the garage. Freshly painted walls and wood floors throughout the home. Enjoy the above ground pool for lots of summer fun. Come home to a peaceful country view with beautiful mature trees on 5 acres, great for those who like to hunt. Furnace, humidifier, water heater 2016, Well pump 2016, Roof 2014, Wired for generator, newer carpets, Home Warranty. Close to major highways (Van Dyke/M-53/I-69). Don't miss out!